SAN FRANCISCO, CA December 12, 2015 — On Saturday, November 7, 2015 Mighty4 Arts Foundation (M4AF) brought aerosol artists East3 (Keep It Flowing Media), Kraze (808 Giants), and Vogue (TDK) together to paint a memorial for Brian “DJ Swift Rock” Lucas in the Mission. 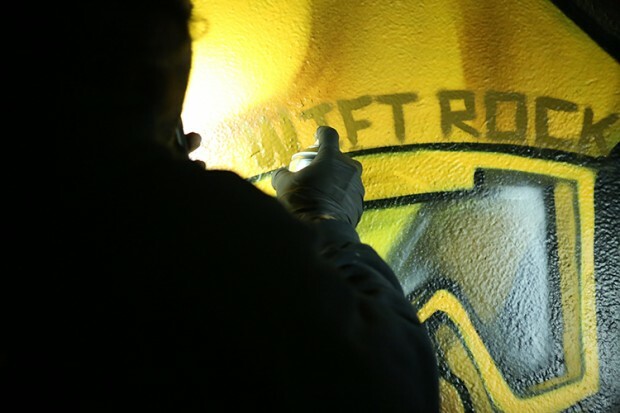 The #SwiftRockForever mural features a portrait, handstyle, character, and quote by Swift Rock, all created freehand with aerosol paint. 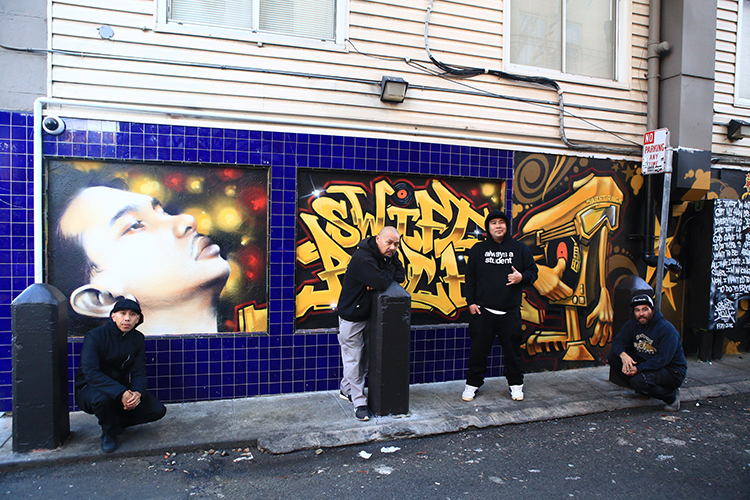 Daly City is home to the mobile DJ crew movement, having raised world renowned DJs at house parties and Hip Hop events since the 1980s to the early 2000s. Of this lineage came DJ Swift Rock – a trailblazer on the turntables, and a warrior in battles. Brian started practicing in 1993 after attending a DJ battle at Matter Music in Pacifica as a young teen. After watching DJ Shortkut mesmerize the audience and win the competition, Brian knew he had found his life’s calling. 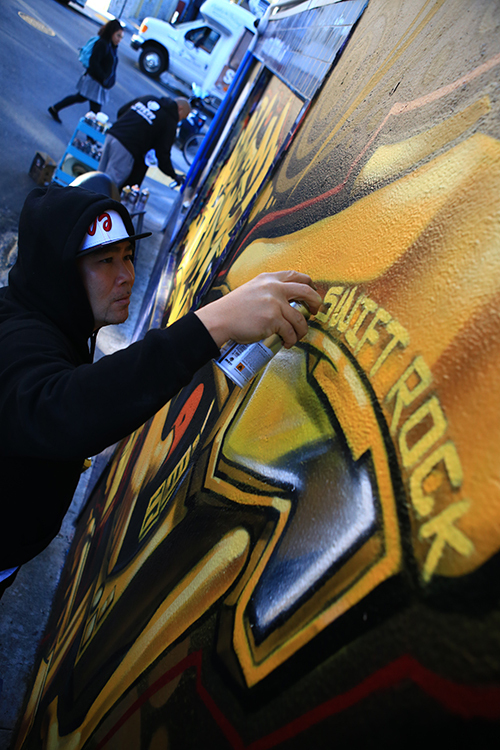 Figure 2: Artist Ken “East3” Nishimura adding finishing touches to his original handstyle in memory of Swift Rock. Photo by #Rawkbeez. 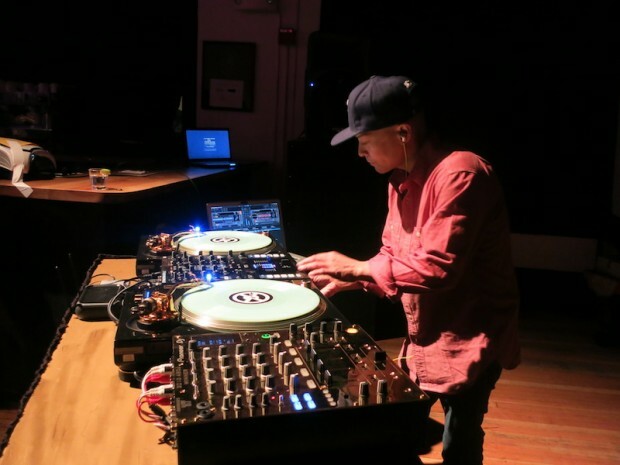 Though Brian is most well known for his contributions to the turntablist and DJing community in beat juggling, he was above all a student to Hip Hop culture attending Universal Zulu Nation meetings as a teen, and spinning at events like the Mighty4 Festival. His dedication to carrying on the traditions of Hip Hop showed in his knowledge of the elements, the pioneers and their signature tricks. Brian spent his days after school practicing six hours at a time to sharpen his skills for the next battle. After earning multiple competitions in the golden era battle scene, he brought home the winning title at the 1998 Vestax World Championship in Japan. 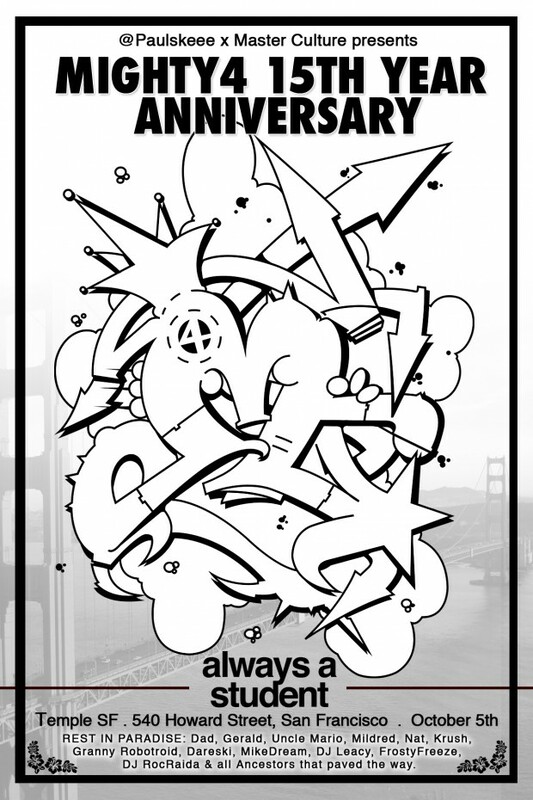 Brian represented the funk of the Bay Area and his crews Rock Force, 2DXtreme, Supernatural Turntable Artists, and soon became an honorary member of the world famous Triple Threat DJs. Yet what these titles and accomplishments do not tell, is the incredible human being that Brian was. 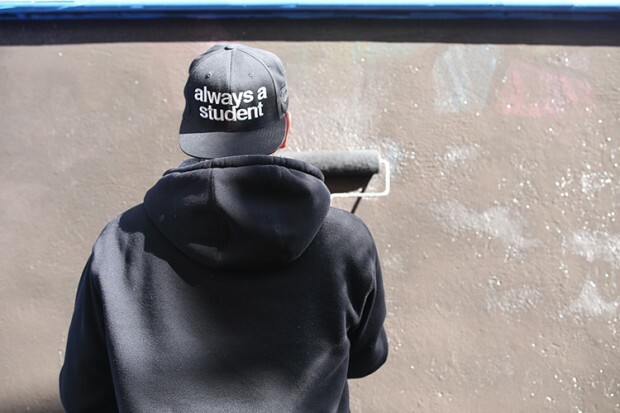 A force to be reckoned with in the cut throat battle scene of DJing, Brian was also known as a welcoming spirit, open to teaching newcomers or exchanging conversation with everyone in the room. 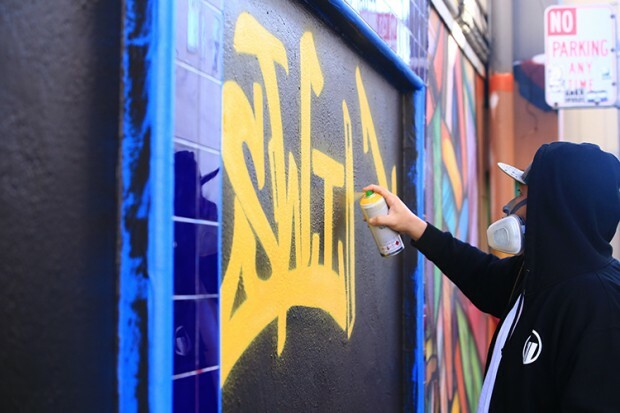 When the DJ scene began to change in the Bay Area, Brian had always advocated connecting youth to Hip Hop. As Mighty4 moves into the new year with a Hip Hop Scholarship program on the horizon, the dedication and passion to reach students and youth in the Bay Area will live through #SwiftRockForever. 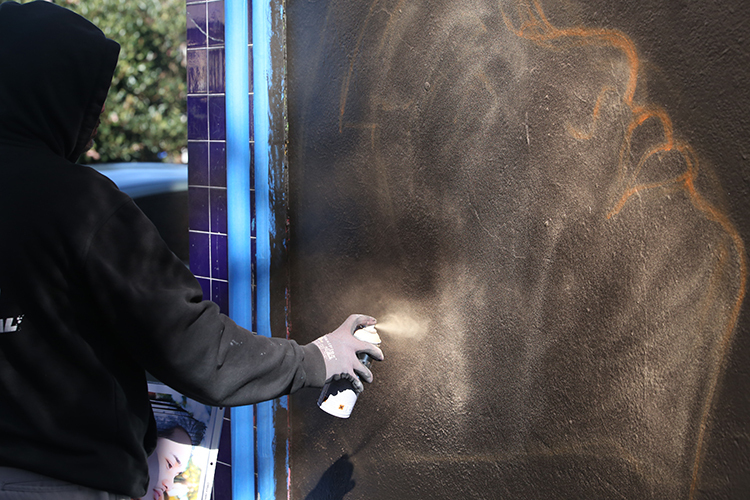 Figure 3: Artist Vogue mixing aerosol paint techniques with fine art to create the Swift Rock portrait. Photo by #Rawkbeez. 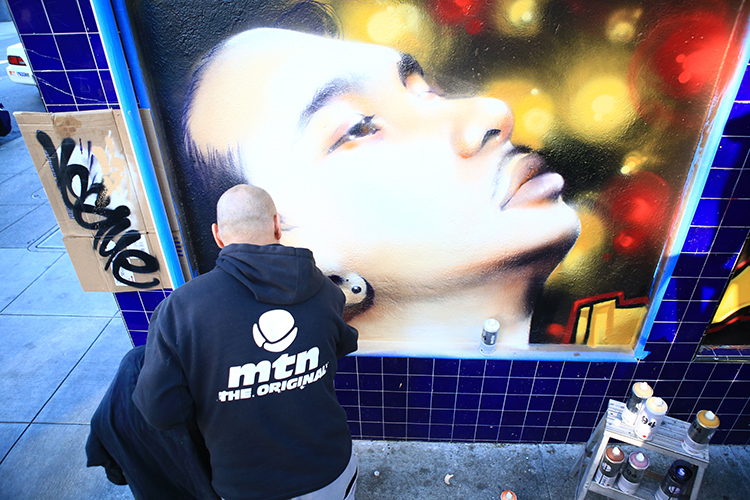 Special thanks to the Lucas Family, aerosol artists for donating their skills and time to the mural, Miguel “Mr. E” Escobedo for donating the wall space of his restaurant. 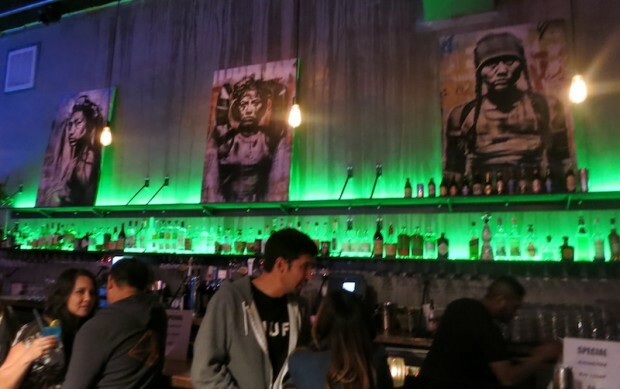 The mural can be viewed at Papalote Mexican Grill at 3409 24th Street, San Francisco, CA 94110. 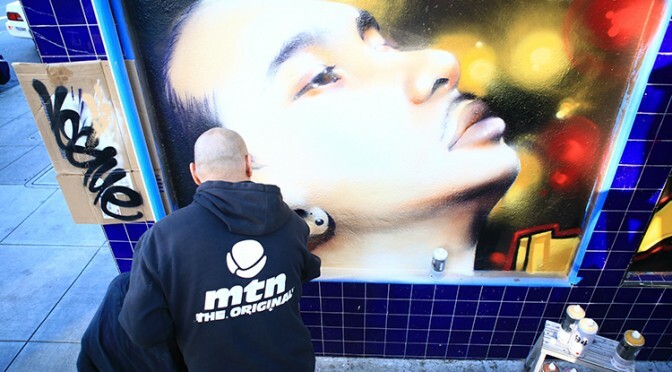 Figure 4: From top to bottom – Artists Vogue, East3, and Tony “Kraze1Da” adding finishing touches to the mural. Photo by #Rawkbeez. Figure 6: Artist Vogue beginning the Swift Rock portrait. Photo by #Rawkbeez. 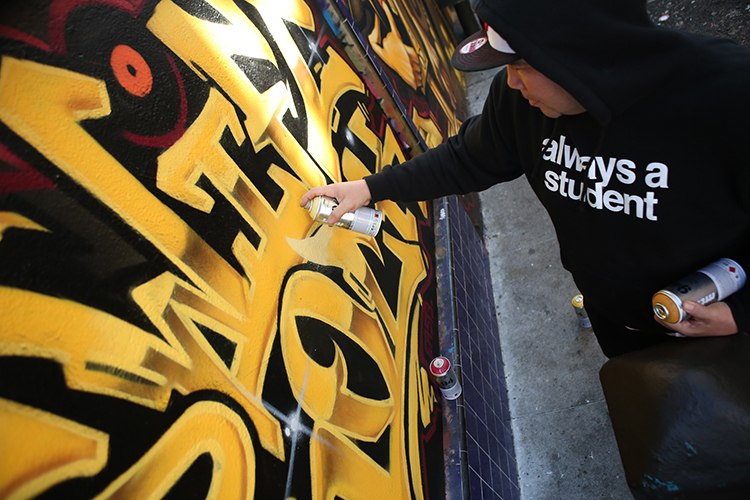 Figure 7: Artist East3 painting an original handstyle. Photo by #Rawkbeez. Figure 8: Artist – East3. It’s all in the details. Photo by #Rawkbeez. Figure 9: Artist Kraze1Da putting in work at night. Photo by #Rawkbeez. 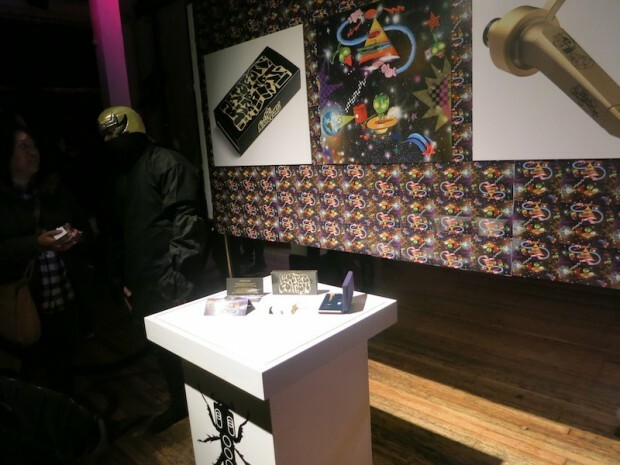 On April 15th, Thud Rumble & Ortofon celebrated their 10th anniversary at 111 Minna in Downtown San Francisco. Shout outs to Yoga Frog and DJ Q-bert of Thud Rumble for all of their contributions to Hip Hop and paving a path for the culture to grow. 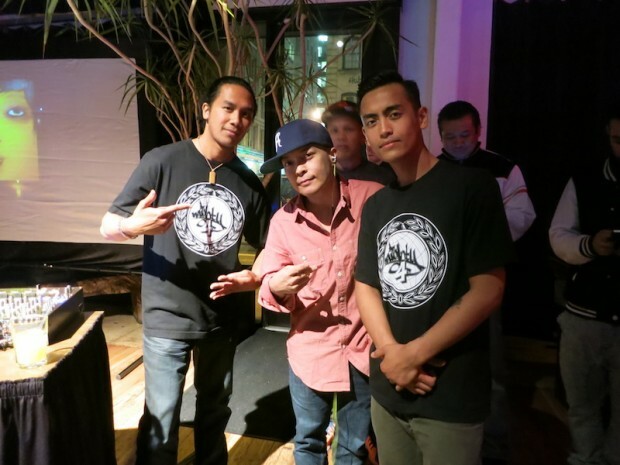 It was good to see familiar faces and brands like Whipt Baked Goods, Papalote and Skratchpad.